It is seldom that a guitar this epic ever comes along these days. This guitar has been buried for decades only to recently surface. This is the first Gibson solid body electric guitar ever made! It will change the history and evolution of the electric guitar. Ever see a pre-war Gibson solid body guitar??? You have now. 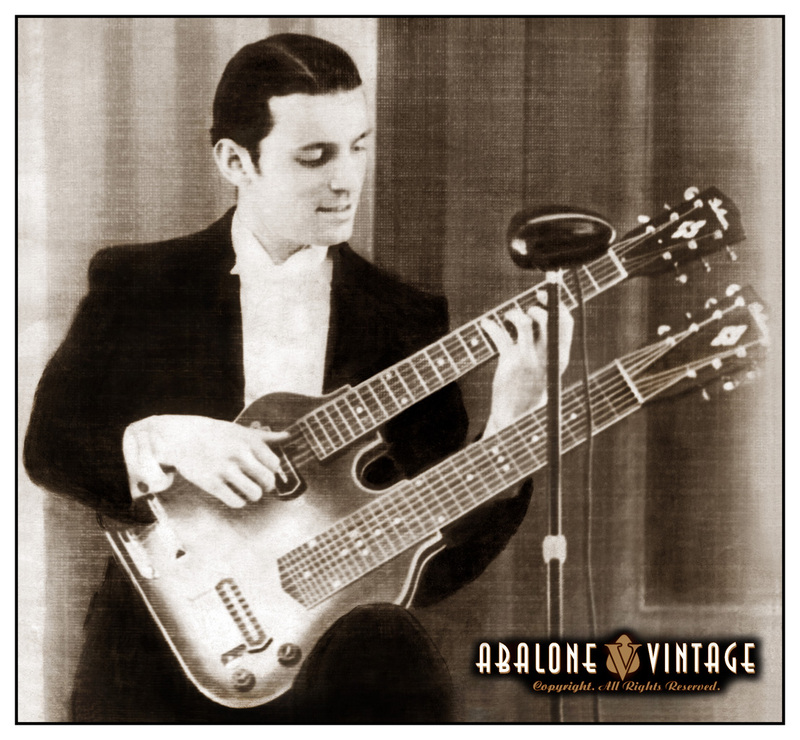 This is the first Gibson electric double neck guitar. It is also the first Gibson solid body guitar ever made. It was made 15 years before the Les Paul! This means Gibson actually beat Fender to the party! 1937 Gibson ESH-150 Gibson Double Neck guitar. In early 1938 this guitar was shipped to Europe. During WWII this guitar was plunged into obscurity because of economic turmoil & German occupation. This is the original guitarist who ordered the guitar from Gibson. For context, this ESH-150 was made the same year of the Hindenburg disaster! 1937 Gibson ESH-150 Gibson Double Neck guitar with Charlie Christian pickups. Note this instrument has one brown knob and one black knob. This is original. Gibson did this in the 1930's. It is thought Gibson did this to differentiate between the volume and tone controls. 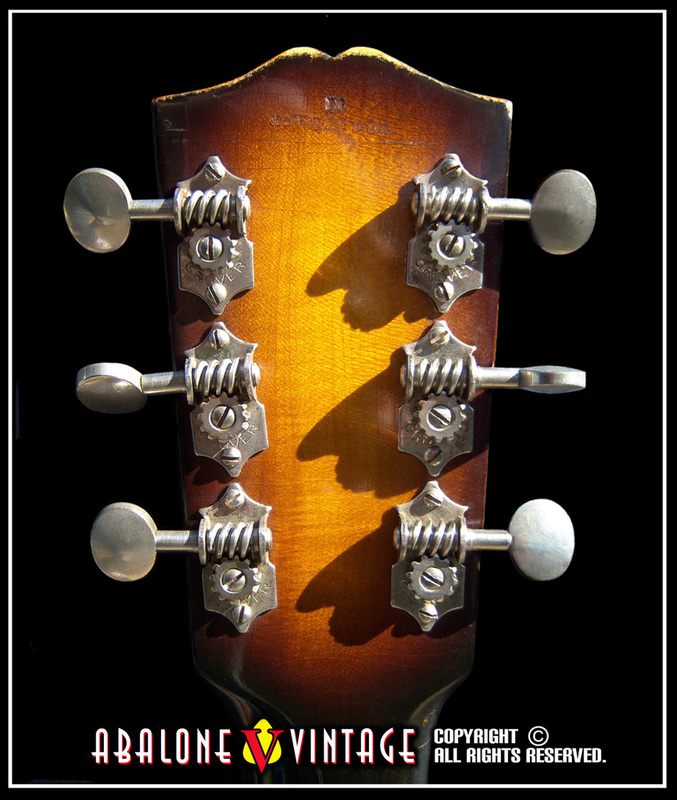 Shot of the Spanish neck headstock and logo. Note "Made in the USA" stamp. Gibson did this on instruments exported out of the US. 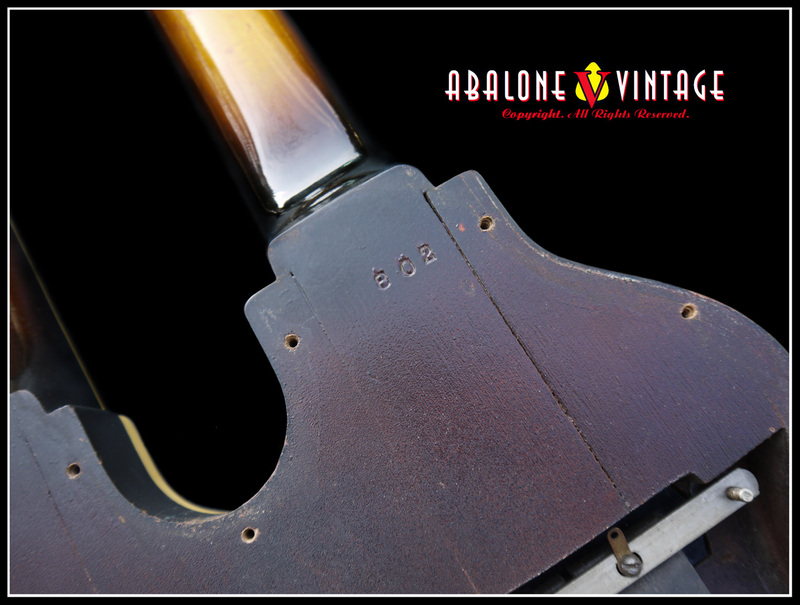 The serial number is located on the back & on the inside behind the Spanish guitar neck. 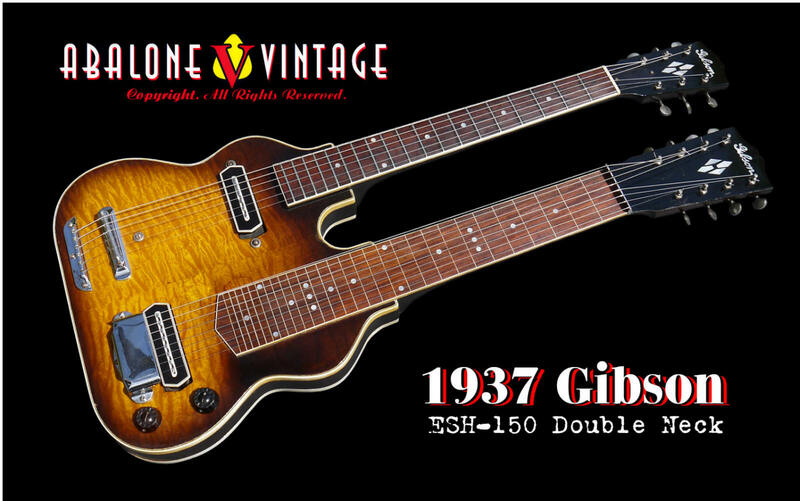 1937 Gibson ESH-150 Gibson Double Neck guitar. Spectacular faux alligator covering on the case. Copyright 1995-2018 Abalone Vintage. All rights reserved.